Download < DIN-8 Pinout diagram. 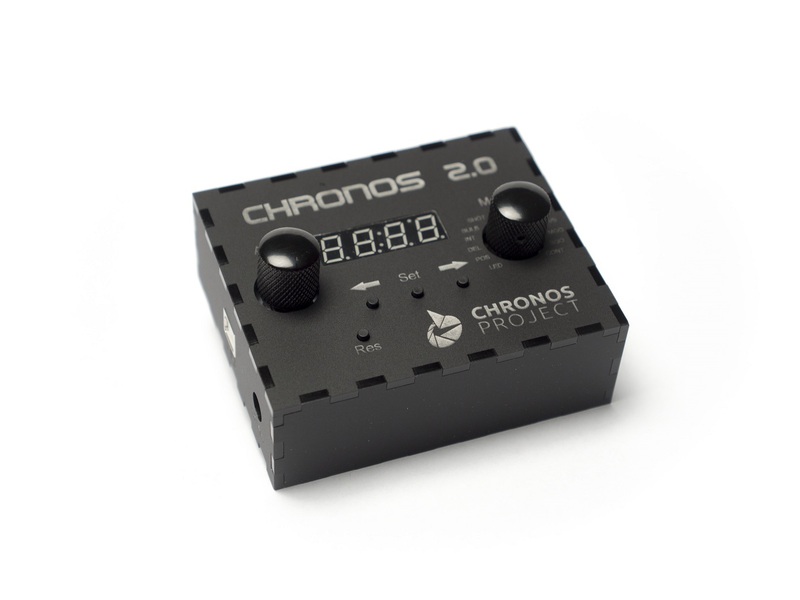 The heart of the Chronos system is the Chronocontroller featuring ChronosTimer 1.3.1 time lapse engine. This can also be setup to control any stepper driven timelapse system, including rotational axis and lens controllers. Simple to use interface using the Chronos 2.0 software package makes setup extremely fast and intuitive, even when programming complex movement patterns. No dealing with “Inches per minute” and Interval count to determine the number of shots. Rather you just tell Chronos 2.0 how many shots to take and how far to move. Easy to understand movement patterns ensure predictability. 255 levels of display brightness control. Controls a single stepper motor up to 2.0amps/phase. 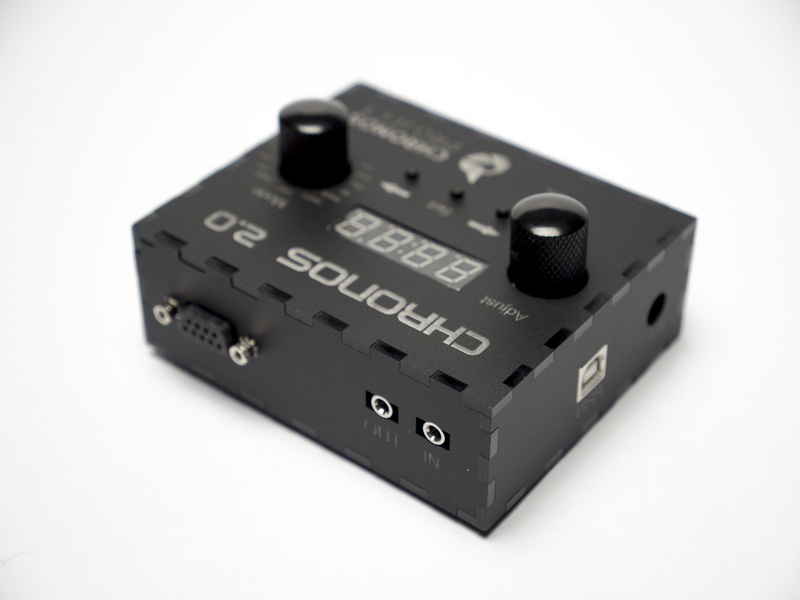 Sync ability gives the controller the ability to synchronize up to external timing sources making the chrono controller 100% compatible with external intervalometers, bulb rampers, and other motion control equipment. 7 Segment LED can operate in -40 degree weather without freezing or becoming sluggish. WSM Shooting display shows Shots taken, Shots remaining, Time elapsed, Time remaining. Drift mode give the camera a natural sway. 66 Movement profiles with adjustable delays, shots, buffers, bulb timers, distance to build a virtually endless amount of movement routines. Assignable virtual limit switches and instant A-B Keyframe distance scaling. Bulb Exposure control 1 second to 1 minute. HDR trigger to gather 3 frames per interval. Camera Nudge to wake up a camera right before it shoots. Set motor speeds for Position mode, Microstepping speed, and timelapse motion speed. Set Continuous motor speed limits to prevent the accidental skipping of steps due to too much speed. Rotational Axis Optimization includes distance to Degrees adjustment and constant microstepping.